September 6, 2013 | 7:15 a.m. 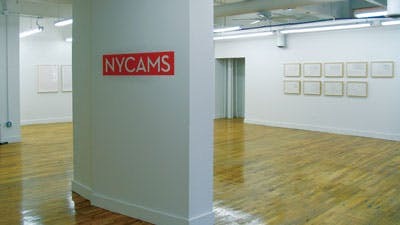 Inside the NYCAMS art gallery in New York City. 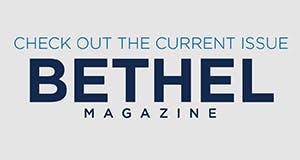 After eight years, Bethel University will discontinue its operation of the New York Center for Art & Media Studies (NYCAMS) as of September 2013. Another complication arose this summer when the state of New York ordered Bethel University to “cease and desist” the operation of NYCAMS until the university had applied for and received “permission to operate” in New York. When NYCAMS was first proposed in 2004, the New York State Department of Education informed Bethel officially that such permission was not required, Fisher said. However, when university administrators contacted state officials this summer, they were told they must go through the process and a decision would likely be made in summer 2014. The combination of all of these factors resulted in the decision to discontinue Bethel University’s operation of NYCAMS. The director of NYCAMS and the current faculty are exploring new affiliations and sources of support for the program. What is the timeline for closing NYCAMS? Bethel University will discontinue its operation of NYCAMS as of September 2013. At the same time, the director of NYCAMS and the current faculty are exploring new affiliations and sources of support for the program. Who made the decision to close NYCAMS? The provost, Deb Harless, and the acting dean, Barrett Fisher, made this decision in consultation with others. What’s the typical student mix at NYCAMS – Bethel students and students from other institutions? On average, in each semester at NYCAMS about 30% of the students have come from Bethel and the remainder from other institutions. What impact will closing NYCAMS have on current curricular and co-curricular opportunities? The closing of NYCAMS will not affect any student’s ability to complete an art or English major; while NYCAMS has been an option that students in those departments have been encouraged to pursue, they will be able to fulfill all of their requirements without going to New York. Unfortunately, they do lose the opportunity to engage artistic and literary culture in a particularly intense and unique way, and to gain the experience of an internship in New York City. What is the projected savings from closing NYCAMS? In the eight years that NYCAMS operated, it never achieved its goal of a balanced budget. While that loss varied from year to year, the most recent deficit was projected at a little more than $300,000. Are employees at NYCAMS going to lose their jobs? With NYCAMS closing, a position no longer exists for the Center Coordinator. As full-time Bethel faculty, those who teach at NYCAMS are under contract until May 2014. Has the university communicated with NYCAMS alumni? In addition to this announcement and Q & A, Bethel plans to contact NYCAMS alumni personally. What other similar urban educational options are available to students? Questions regarding the closing of NYCAMS may be directed to Barrett Fisher, acting dean for the College of Arts & Sciences, at b-fisher@bethel.edu.